Once it gets cool in the Fall, we end up closing up our house for 5+ months. It’s too cold to open windows and air rooms out. Austin and I suffer from allergies and asthma between the two of us. 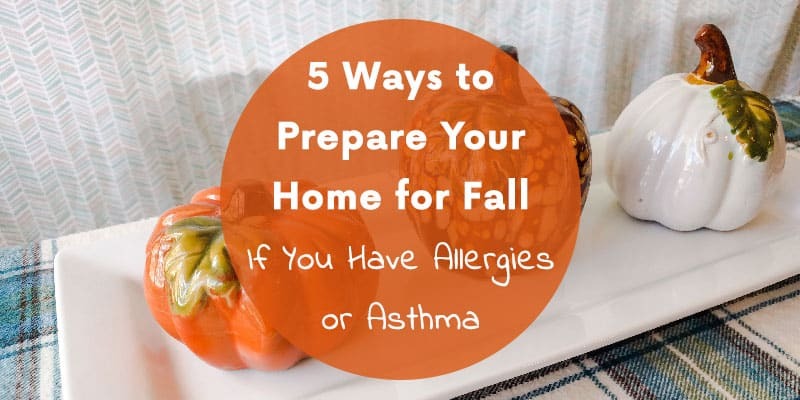 While this is a problem in the Spring and Summer with pollen and whatnot in the air outside, it’s also a big problem in the Fall and Winter inside our house! 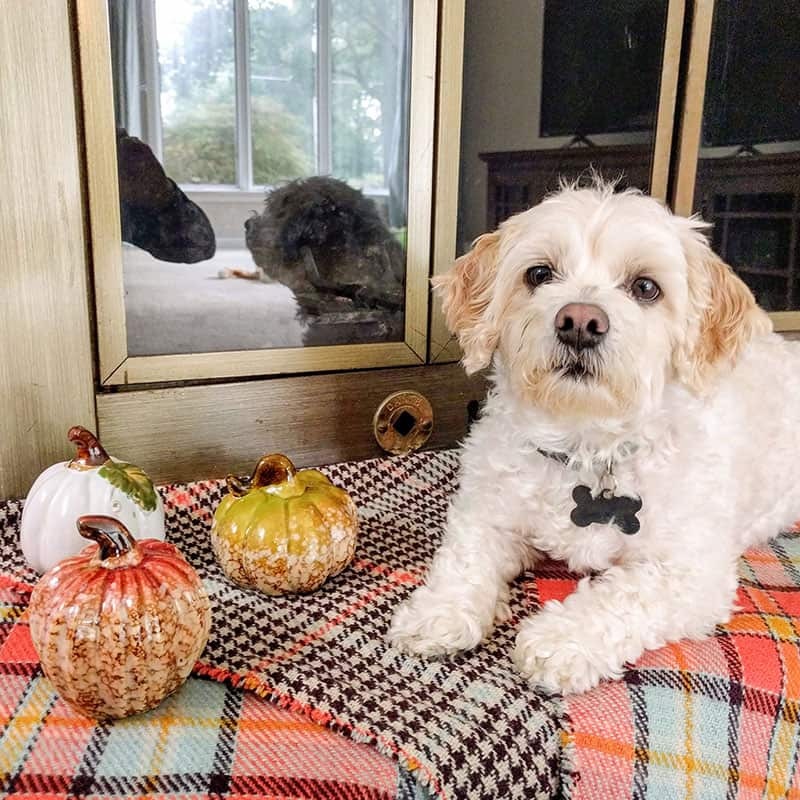 Indoor air quality is a big deal and there are some simple things we think about when it comes to keeping indoor air pollutants under control through the colder months. Our furnace is a major point of concern because it circulates the air in our house. We don’t want it to circulate dust or mold particles! Plus, we want it to run as efficiently as possible. Change the furnace filter regularly. 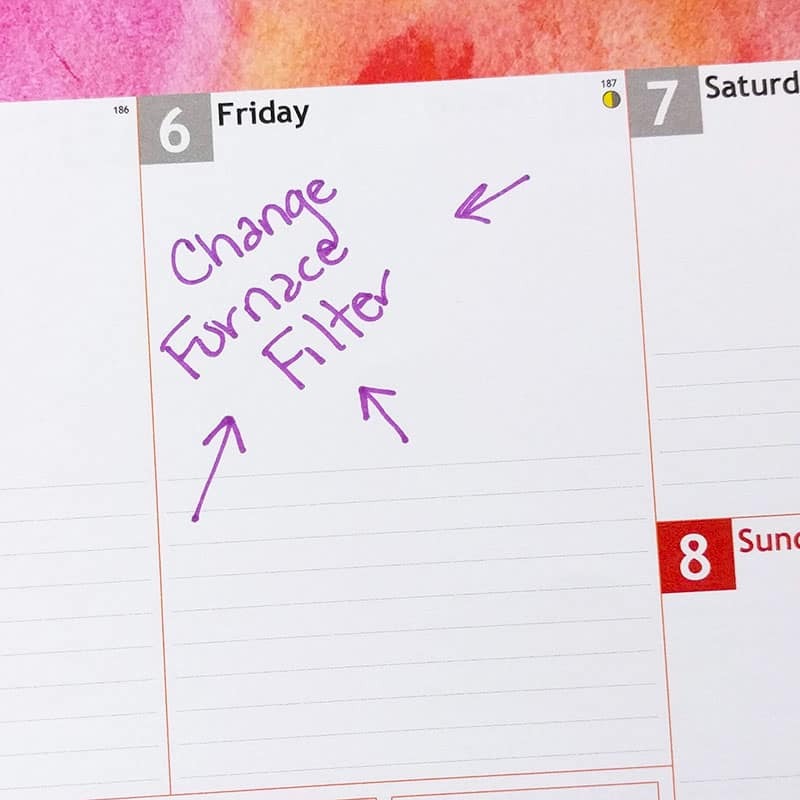 So that I don’t forget, I buy multi-packs of furnace filters and write down when to change the filter on my day planner. Get the ducts cleaned. There can be dust, pet hair/dander, and all kinds of nasty stuff sitting in your duct work. When the furnace comes on it gets blown all over your house. We’ve had duct cleaning done at both of our houses and it made a noticeable difference in our air quality. The guy that owned our current house before we bought it had a big dog and the duct cleaner pulled out heaps of dog hair from the ducts! When we had duct cleaning done at our first house it had lots of dust, and toys that the kids who lived there before us had shoved down the vents! Since we spend a ton of time indoors (around 90% of our time according to the American Lung Association) it is crazy important to keep our indoor air clean. Lennox actually offers a whole-house Air Purification System called The PureAir™ S that filters out airborne particles, germs and bacteria, and chemical odors and vapors. Having a whole home air purification system rather than a portable air system is more effective and easier to manage. Find a dealer near you to learn more about this and other products. With the house all closed up, it’s important to do a little deeper cleaning. Do extra laundry: Think about the things that don’t get washed often: comforters, curtains, pillows, or stuffed animals. It’s important to wash them occasionally so that gross stuff like dust mites, skin cells, and other nastiness doesn’t affect your health. For a few weeks, do one extra load each week of these random items. Vacuum regularly: You’ll get rid of dirt, dust, hair, and skin cells by vacuuming regularly. I shoot for once a week. It’s also important to be in control of the moisture in your home. In the fall, with wetter weather and lots of warm showers, moisture can stick around. Excess moisture can give you a mold problem which is obviously no good. You may want to run a dehumidifier, especially in your basement. And make sure everyone turns on the bathroom fan before their shower, if you have one. Some HVAC systems have a whole-house dehumidifier system added on. Ours has one! Lennox has a line of Healthy Climate Solutions™ that includes whole-house humidifiers and dehumidifiers so that you can regulate the moisture levels in your home. Leaves, grass clippings, dirt, pesticides, salt… It’s all best left outside y’all. Make sure you’re not tracking in extra stuff that could trigger your allergies (or give you more cleaning to do). Get some good doormats. We have some heavy-duty doormats that are so helpful, especially with really wet or muddy shoes. I have one by every entrance to our house. A lot of things that you smell can cause respiratory difficulties. No smoking!!! It’s insanely bad for you and bad for everyone you come into contact with. Definitely no smoking in your house, but also be careful about the scent that remains on your clothes and on you when you walk in the door. From personal experience, I know that just being around someone who smokes (even if they’re not smoking when I’m with them) can be hard on the lungs. Unscented or naturally scented. Austin gets instant headaches from anything scented. I can’t even wear perfume around him! Looking for unscented products helps a lot. If I buy scented products I try to look for ones that use essential oils instead of synthetic scents. This goes for laundry detergent, cleaning products, and cosmetics. Remember that Air Purification System (PureAir™ S) that I mentioned earlier? It helps with odors from cooking, cleaning supplies, pets, paint, and other smells that are common at home. This is super helpful since all of those strong smells can cause headaches and trigger allergies or asthma symptoms. 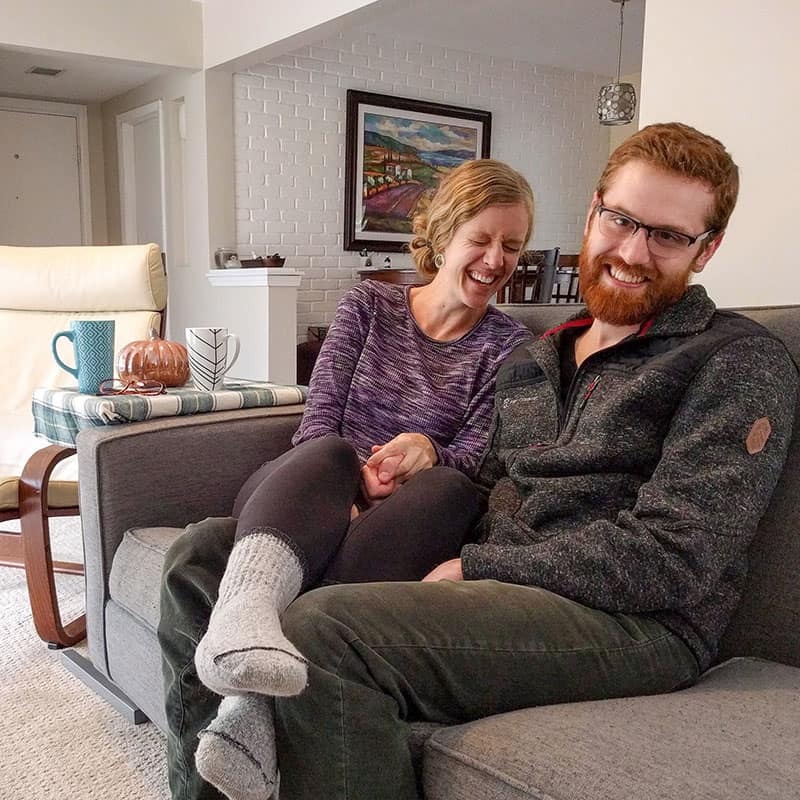 By making sure that our furnace is in top form, that we do some deeper cleaning, and keep out pollutants like dirt, chemicals, cigarette smoke, and artificial fragrances, we live much more comfortably inside our house through the colder months! 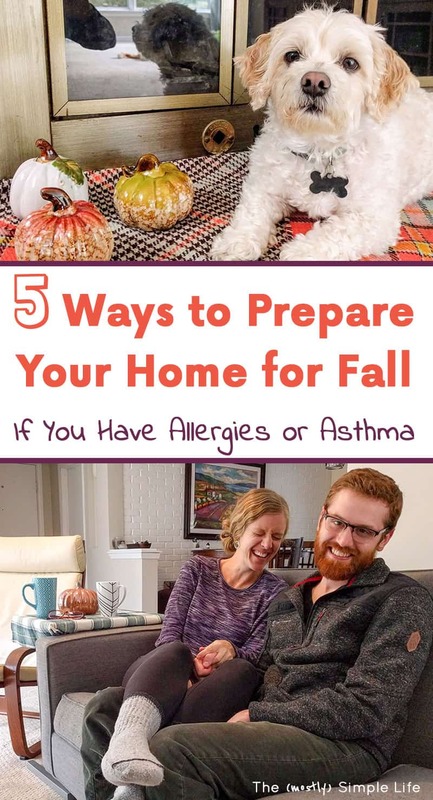 A little extra effort can go a very long way if you have people in your house that suffer from allergies or asthma. What a great post on keeping on your home’s air clean! Can’t believe what you found in your different vents!! We’re in Florida so we have a few more months until we can OPEN the windows! It’s still pretty hot and wish we had some of that fall air here!! Thanks Dawn!!! Vents are so often overlooked! Haha, I can’t imagine October without crisp, chilly air. Crazy!